Tonight Ten Feet Tall brought the students of Teesside University another decent night of comedy. The gig, hosted in the Students’ Union on campus, provides students with an evening of entertainment at the reasonable price of £5, some of whom are into comedy and are there for the gig – whereas others are there to kick off their night before hitting the night clubs. For the most part these two contrasting audience members coexist and behave much better than you’d expect for a student night, proving that if you lay on good quality entertainment. A student audience can be just as respectful and attentive as any other, and also, thankfully, the gig will self-police if needs be, as made apparent by one occasion this evening. However, installed to control the crowd tonight was Ten Feet Tall resident MC Jason Cook, a name recognisable to regular attendees of comedy nights in the North East. Cook held the night together with style and ease using his naturally chatty and friendly nature to win the students over and lay down some ground rules with an iron fist, which was necessary for some more than others; a punter even sheepishly asked Cook, ‘What does heckling mean?’ That wins the award for irony of the night. Barry Dodds was our opening act, kicking off the night well with tales of universities and student life. A recent and comprehensive review of Barry’s set can be found here. In the middle section Paul Savage took to the stage, with a short set thrown into tonight’s proceedings as a bonus, while a new headliner was being arranged for the night. Savage provided a good middle spot and served as an enjoyable addition to the gig, although he split the crowd at times with some failing to warm to his act. 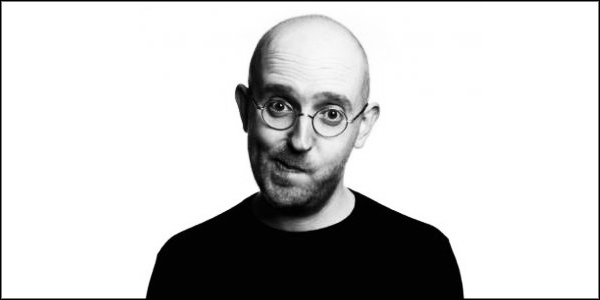 Our replacement headliner for the evening was Liverpudlian comic Silky, who rounded off the evening with some strange and surreal comedy mainly focussing on members of the front row and their every action. Silky specialises in crowd control, and handled this large and increasingly rowdy student audience with ease and experience. He follows the great old music hall tradition in comedy of finishing his set on a song, singing a number that brought a standing ovation from the crowd. Even after his set, compere Jason Cook brought Silky back on stage for an encore due to the reaction, with the comic giving us one last song at the request of Cook – a short and punchy ditty about disability that got the biggest response of the whole night. Happy Campus Comedy Club is run fortnightly on alternate Tuesday’s at Teesside University’s Student’s Union Hub venue. Information for the club and all other Teesside SU events will be posted here nearer the date.